Leonard McCoy was a medical student at Starfleet Academy looking forward to the winter break. He was just trying to have some fun when a football game on Academy grounds got out of hand, and all thanks to that upstart cadet named Kirk. Now McCoy is stuck at the Academy during the break. If only Kirk hadn't gotten him into trouble. . . . But it's too late for regrets. McCoy has been "volunteered" for the Disaster Relief Service Club. Now he and a humorless Vulcan named Spock are risking their lives to save earthquake victims on the planet Playamar. 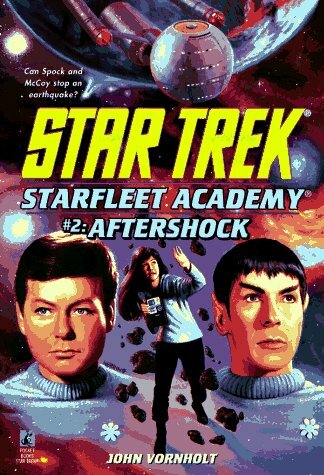 Constant aftershocks are hampering their efforts, though, and Spock and McCoy begin to wonder: Is this a natural disaster, or are more sinister forces at work?